Territory politicians, so far as their pay is concerned, are on the pig’s back, while the amount of money they are getting is in indirect proportion to their transparency. Both Chief Minister Adam Giles and Opposition Leader Michael Gunner are relying on minders for communication with media, and flatly refuse to answer questions they don’t like, the 99 years lease of the Port of Darwin to a Chinese firm being the latest example. No matter how you dice it, the Northern Territory public gets a lousy bang for its buck: 212,000 souls call the NT home, far fewer than the Blacktown (population just over 332,000), which is merely a local council. Yet the NT has a fully fledged political and administrative system, with a parliament, departments and all the rest – including lots of minders and all the usual perks, and an avalanche of Federal money pumped into it, five times more than the national average. Mr Giles gets $288,564 a year plus an electoral allowance of $32,806. That’s $321,370. Mr Gunner gets $279,004 a year. By way of comparison, Prime Minister Malcolm Turnbull gets around $540,000 for leading the entire country, and Opposition Leader Bill Shorten, $361,000. Blacktown Mayor Stephen Bali is reportedly getting about $103,000, compared to the $100,000 salary for Damien Ryan, the Mayor of Alice Springs, which has less than one-tenth of Blacktown’s population. All this comes into perspective when we seek information from these people about issues in which our readers have a keen interest. 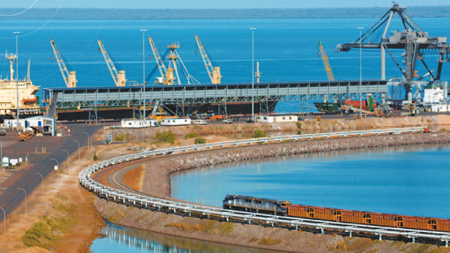 The leasing of the Port of Darwin is one such example. For our comprehensive coverage starting on January 6 the Alice Springs News Online put 35 questions to Mr Giles on January 5, with a request for responses, wherever possible, within 48 hours. To date a minder for Mr Giles has answered one of these questions – there were 39 bidders for the lease. Ten days have now elapsed since our enquiry – not a word from Mr Giles on the other 34 questions (see them at the bottom of this report, excluding those that have been answered by others, including Professor Rolf Gerritsen). We put three questions to Federal Defence Mister Marise Payne on January 7 and we received comprehensive replies to all of them on January 12 (there was a weekend between those dates). All we were told by the Chief Minister’s communications director, Travis Crozier, that he is very busy with the Daly River floods and would get ’round to our request later. The floods are well and truly under the bridge but still no peep out of Mr Crozier. And even that is more than we got from Mr Gunner. Over the last couple of months we have repeatedly requested an interview with him – not with a minder, and not relying on hand-outs, but a first-hand question and answer session such as we, as journalists, are obliged to rely on. The first topic was his stance on fracking, and the second, the port. All we got was on old handout about the port (we used it because we were told Mr Gunner was on holidays), and a ‘no comment’ answer, not even from the Opposition Leader’s minder, Gino Luglietti, but someone working for him. All we can assume is that Mr Gunner is using the cowardly strategy of being a small target ahead of the election – which, given we have a minority government, could be very soon. Playing “Where’s Wally” with Mr Gunner would require a microscope. NOTE: Unanswered questions to Mr Giles, not including those replied to by others. Please provide me with a copy of the Landbridge lease document. Is there a provision to extend the lease at the end of its expiry after 99 years? Are there limitations placed on the uses and future development of those parts of the harbour that are not under lease to Landbridge, and that could be in competition with it? You announced developments and investments to be made by Landbridge … “expanding its port capacity to in excess of 200 million tonnes per annum – more than 65 times the current volume at the Port of Darwin” … “Landbridge will immediately commence design and preparatory works to increase refrigerated container capacity”. Are these enshrined in the contract as obligations imposed on Landbridge? What is the text in the contract relating to this? Are there conditions for the lease to be terminated prematurely and if so, how is this expressed in the lease agreement? Are foreign workers to be admitted to Australia under the agreement with Landbridge? If so, what is the text in the contract relating to this? If so, under what conditions and for what pay will they be working and how are those conditions articulated in the lease agreement? Are any foreign workers being paid in China or here? Will Australian unions have access to information relating to these payments? You say: “We have listened carefully to the concerns of the community and the Parliament.” Where, when and how did this listening take place, what were you told by the “community” and what did you respond? When and how was the public of the Territory informed about planned commercial arrangements for the port, except in the media releases of February 2014, October 2014, February 2015, and September 2014? Who proposed the 99 year lease? Was a tender called? If so, when? When and how was the public informed that a foreign company had offered to take out the lease? When and how was the public informed that the NT Government planned to accept Landbridge’s offer? What were the respective three highest offers? On 25 November 2015, the Senate referred an inquiry into the foreign investment review framework to the Senate Economics References Committee for inquiry and report by 4 February 2016. To your knowledge, will the port issues be discussed? In the case of a cancellation of the deal, would there be any grounds for Landbridge to seek compensation? If so, who would pay? Plus four questions about the future of access by foreign vessels; involvement of the port managers in defence exercises; input into port safety by stakeholders and expansion of freight through-put. 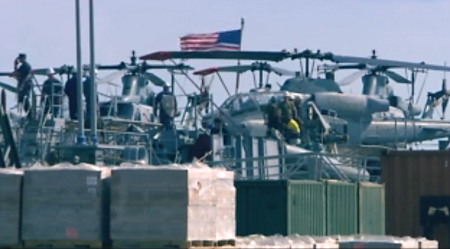 IMAGES from the Port of Darwin website. @ Paul: The NT has very little to offer SA. If the NT was a state and the rest of Australia did not carry it, the Territory would be bankrupt in a week. The Territory is a burden on the rest of Australia. So many questions and NO answers. My one and only question cannot be answered unless placed in a time capsule to be opened in a hundred years’ time. Did Australia get the Port back? For some time I felt the best thing for NT, OK, almost all of NT, is for NT and SA to re-unite.